The Los Angeles Angels could be getting two-way star Shohei Ohtani back on the diamond here soon. 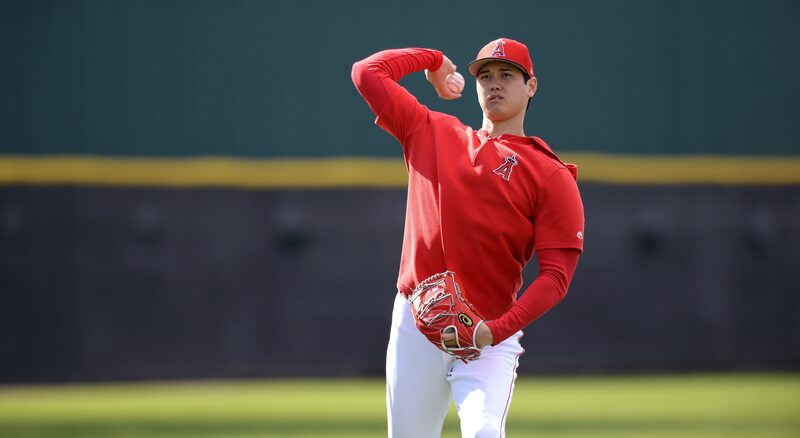 After undergoing Tommy John Surgery back in October, the rookie sensation from last season will soon be able to take on pitchers in minor league games. That news comes to us via Angels manager Brad Ausmas. Shohei Ohtani update: Doctor was pleased with his progress. He can start facing pitchers in roughly a week. Not sooner than seven days, #Angels Ausmus said. While Ohtani won’t be pitching this season, the expectation all a long was that he’d be able to make a return to the Angels as a batter some time next month. Ohtani, 24, put up a .281 average with 22 homers, 61 RBI and a .925 OPS en route to winning the AL Rookie of the Year last season. He also pitched to a 4-2 record with a 3.31 ERA and 1.16 WHIP in 10 games (all starts) last season. This is some really good news for MLB’s highest-paid player in Mike Trout. He needs more protection in the Angels’ lineup moving forward. Ohtani more than provided that last season.